Misr International University always feels responsible for society, believing that the role it is playing is very important. 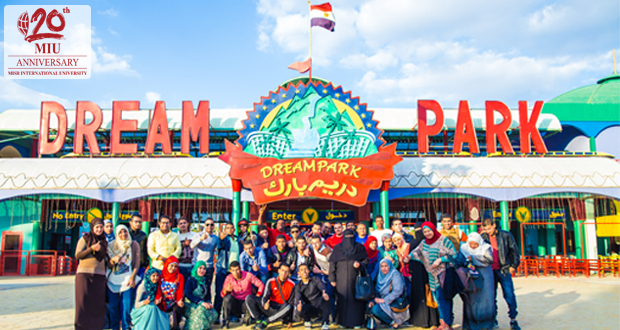 Continuing MIU’s charity events and activities, MIU organized a trip to Dream Park for 60 students of Al-Amal School for the deaf and hard hearing. The trip was held on the 28th of March, 2016 with the participation of some of the MIU staff. The students spent a eventful day at Dream Park and ended up pleased and satisfied.